Though macaroni itself does not has any taste, but we can make it delicate by adding other ingredients like vegetables, some sauce and cheese. 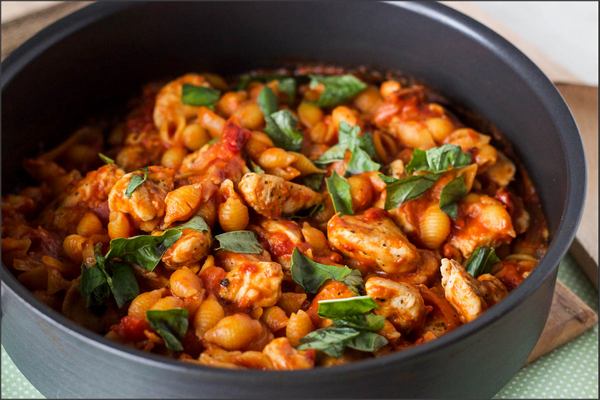 This Macaroni Recipe has a nice combination of ingredients those make Chicken Tikka Macaroni lip smacking. Fry sliced onion in oil until golden. Take out onion from oil and put it into grinder along with tomatoes, green chilies, garlic cloves and yogurt. Blend it. Pour masala in oil again, add chicken cook until chicken done. Now add capsicum, onion, tikka masala and boiled macaroni. Simmer for 2-3 minutes. Serve with bread.